10am-noon: Kids Building Workshop--Kids ages 5-12 learn to build a birdhouse under the supervision of professional carpenters at the Sioux City Training Center. Register here. 2pm: Kids' Hangout at Barnes & Noble Southern Hills Mall for kids in grades 1-6, more info here. 2pm: Poetry Out Loud National Recitation Contest at the Betty Strong Encounter Center, more details here. 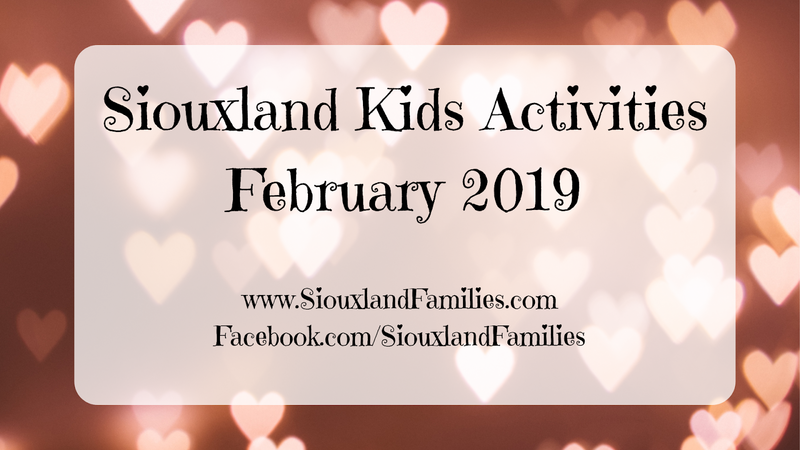 1-3pm: Kids Poster Making workshop at the Lewis & Clark Interpretive Center to work on entries for the "Road Trip with Lewis & Clark" contest ending March 1st. 9am-4pm: Winter Day Camp at Hillview Recreation Area in Hinton. E-mail vdevos@co.plymouth.ia.us or call (712)947-4270 to register.